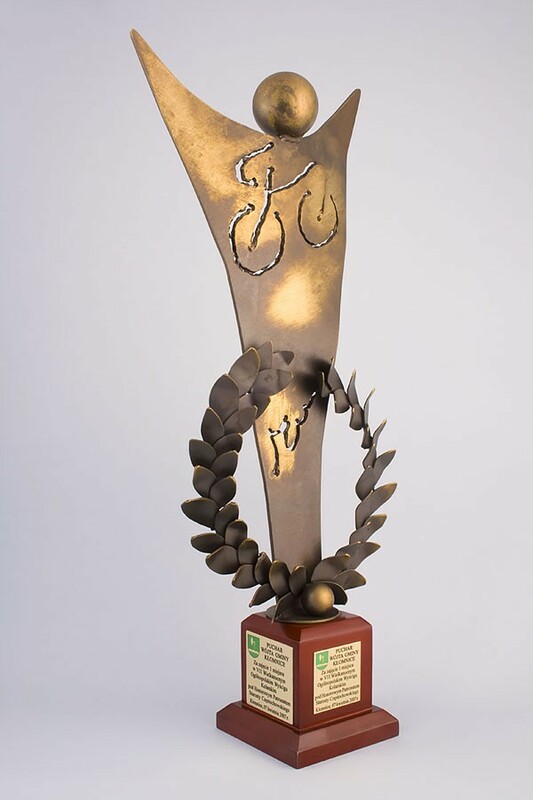 The Cyclist: a paginated metal statue that resembles a cycling champion with a laurel wreath at his feet. 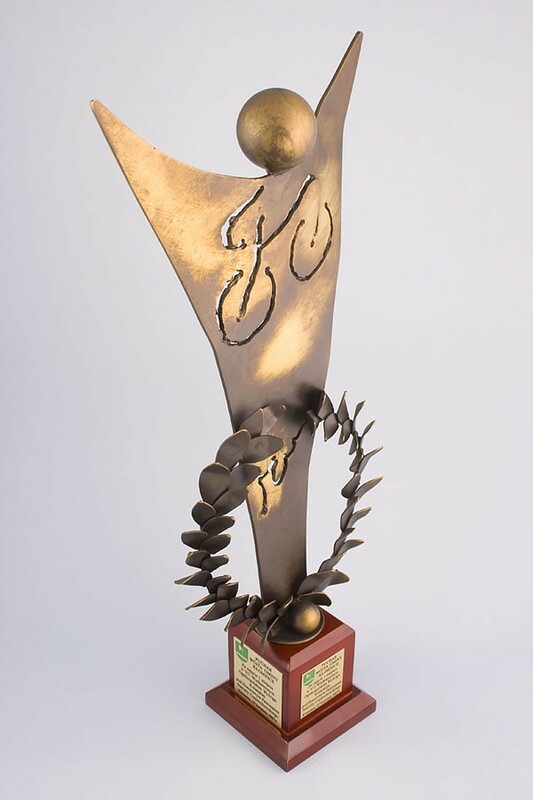 A bicycle engraved in the center accentuates the statue's purpose. 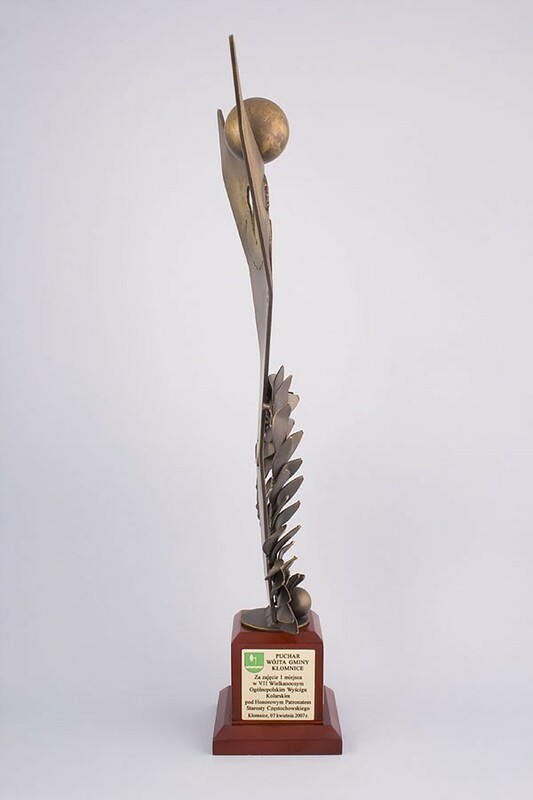 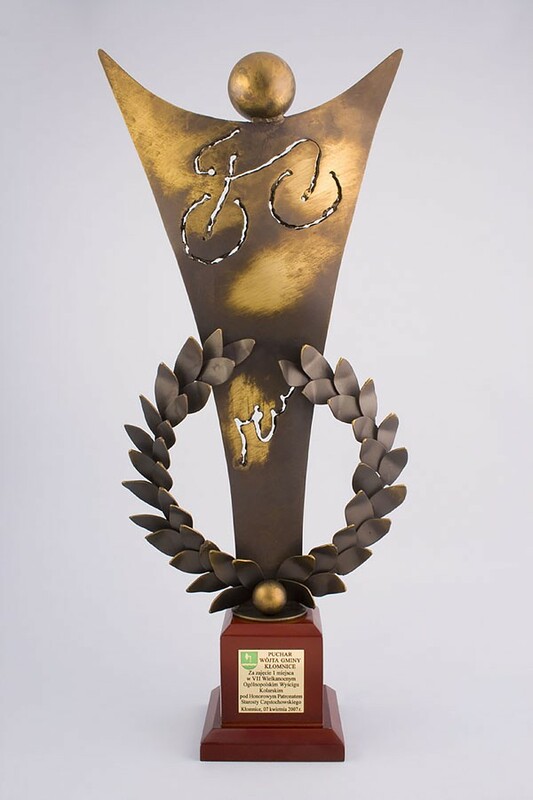 A beautiful trophy for cycle racing champions, also for the winners of each stage of the race and more.